LASER Surgery. Norwalk Animal Hospital is one of the most experienced veterinary hospitals in the county capable of performing LASER surgery. LASER technology reduces surgical pain and inflammation thus improving and shorting recovery to your pet. Click here to read more about LASER surgery. Cryosurgery. Cryosurgery is an alternative method of surgery performed by freezing tissue rather than using a traditional scalpel blade. This is done by rapidly applying extreme cold produced by liquid nitrogen to the abnormal tissue. Click here to read more about cryosurgery. Radiosurgery. Radiosurgery is a method of cutting and coagulating (cauterizing) tissue using high frequency radio waves. Radiosurgery reduces the bleeding involved in surgical procedures, such as tissue removal. Small blood vessels and lymphatic vessels are sealed by the radio waves. By sealing the small blood and lymphatic vessels we have a clearer field in which to operate, thereby increasing the level of surgical precision. Click here to read more about radiosurgery. Once the procedure is completed, a member of our nursing staff will call you with a status report. When you pick up your pet, the doctor or nurse will review the procedure with you and send you home with easy to understand aftercare instructions. 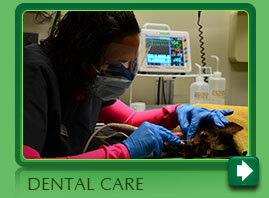 We will call you within a few days to check on your pet and answer any additional questions. Safety. We provide the same level of close patient monitoring that you would receive if you were having surgery yourself. 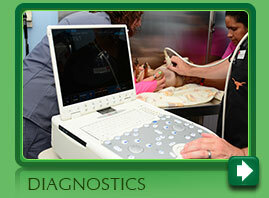 We monitor all of your pet’s vital signs with state-of-the-art equipment, as well as manual techniques. Pets are monitored during surgery using pulse oximetry, respiratory monitoring, EKG, temperature monitoring and are given oxygen. Your pet's comfort is our top priority. At Norwalk Animal Hospital, we believe in maximizing the comfort of your pet before, during and after his/her procedure. Proper pain management also improves your pet’s recovery and speeds the healing process. We administer pain medication before beginning the procedure, during the procedure and post-operatively as needed. We use a multi-modal approach to pain management. A multi-modal approach refers to the layered administration of small amounts of different drugs to minimize any pain that your pet might feel during or after the procedure. When we administer lower doses of each individual drug, your pet will experience fewer adverse side effects, more complete pain relief and faster post-operative recovery. By using a multi-modal approach, we use quantitatively far less of any one drug, which is the safest pain management technique possible. By using this technique we are able to safely minimize the pain your pet might feel at all of the pain gateways: locally (tissue level), at the spinal cord and in the brain.